The current trend of iPhone gaming apps has taken the gaming world by storm. Almost every iPhone app developer has tried his/her hands on developing a game. Thanks to the availability of highly effective iOS app development frameworks, it has become feasible for the developers to create simple yet fun 2D games targeted at iOS devices. 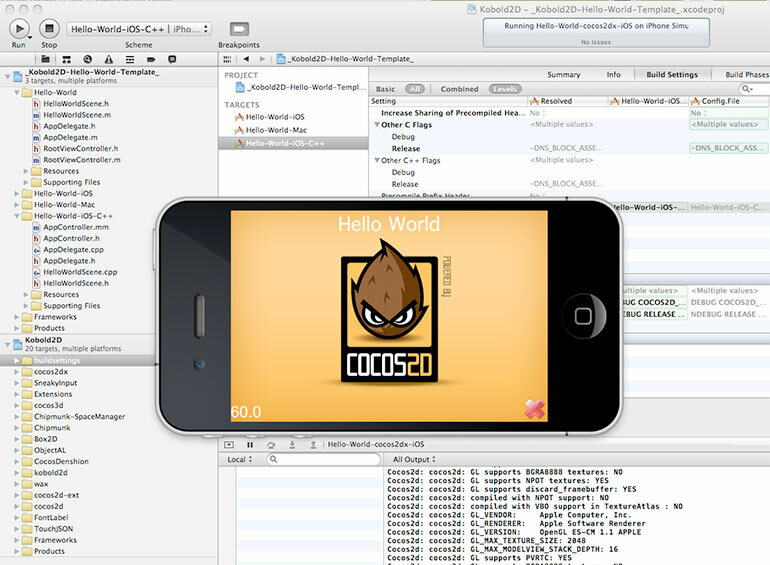 Cocos 2D is a fantastic iOS framework that has worked wonders for developers looking to develop games for smartphones. The following is a simple guide on developing your first game using the Cocos 2D 2.X framework. Firstly, you’ll need to download the Cocos2D framework from the official Cocos2D-iPhone home page here. On this page, you’ll be able to choose from different versions of the software program including: Cocos2D 1.X vs Cocos2D 2.x and the stable vs stable choices. In this post, I’ll be referring to the creation of a simple iPhone game using the most recent Cocos2D 2.X. Many companies offering iPhone application development services have already worked on building gaming apps using Cocos2D. Just in case… A sprite is basically a 2D image that can be rotated, moved, animated, scaled and so on. Prior to proceeding ahead with addition of a sprite, opt for gathering some good game art/graphics. After having downloaded the required resources, unzip the file and drag everything over the Resources folder available within the Xcode. With images ready-for-use, try and figure out where you’d be placing the player. In Cocos2D, choosing the landscape mode means that the upper right corner is (480, 320) and that the game would run on a 3.5” screen. In addition to this, you may also opt for the (568, 320) option which would denote that the game would run on a 4” screen. With Cocos2D came the concept of ‘scenes’. Each scene within the game can be effectively used for incorporating levels, menus, credits and a variety of other assets that collaboratively work as the backbone of the iPhone game. Within each scene, you can choose to include several Photoshop designs that can have separate properties including animations, background color, a shadow and even menus. -­————————————– for more, please refer to Google. There you have it, all the basic steps that need to create an iPhone game using the very cool Cocos iOS framework. I hope the above guide has encouraged you to keep learning more about Cocos2D 2.X and its varied appealing advantages.